With yesterday’s press release, the peak of the cherry blossom blooming has been announced to be from April 3 until April 8. Travel photographers, not only from Cleveland, but from around the world converge on Washington, DC each year for this photographic treat. Only 430 miles from Cleveland, Washington, D.C. is an easy drive and makes a great long-weekend trip. 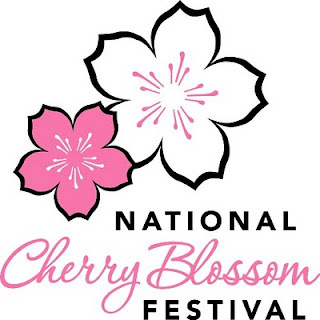 Plan ahead for your hotel as they can fill up early around Cherry Blossom time. Many hotels are offering specials still at this point, but don’t wait too long or they’ll be gone. or call the Festival hotline at (877) 44BLOOM. If you plan to arrive during the peak of the season, you’ll have a chance to catch the fireworks show from the Southwest Waterfront. A musical prelude starts at 5 p.m. and the fireworks light up the sky at 8:30 p.m. on April 3. Special photo opp: Guided lantern walks are held every day of the festival at 8 p.m. Park Service rangers lead walkers through the five mile perimeter of the Tidal Basin with lantern-lighting illuminating their path. Take a tripod for some special shots during this time. Beginners photo opp: David Luria, a member of the American Society of Media Photographers, has been hosting almost daily photo walks and instructions which he calls Photo Safaris. Aimed primarily at beginners, he puts you in the right spot at the right time and makes sure you understand the settings on your camera, so you can come back with first-rate travel photos. His ‘safaris’ receive considerable praise and press attention. 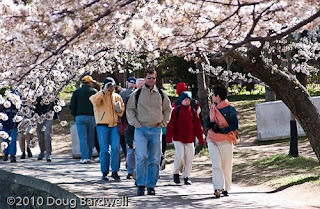 including the Washington Post’s and WHERE Magazine’s lists of the “Top 10 Things To Do in Washington.”and Washingtonian Magazine’s list of “50 Fun Things To Do in Washington DC.” During cherry blossom time, he runs two walks per day. Check out his website at washingtonphotosafaris.com.